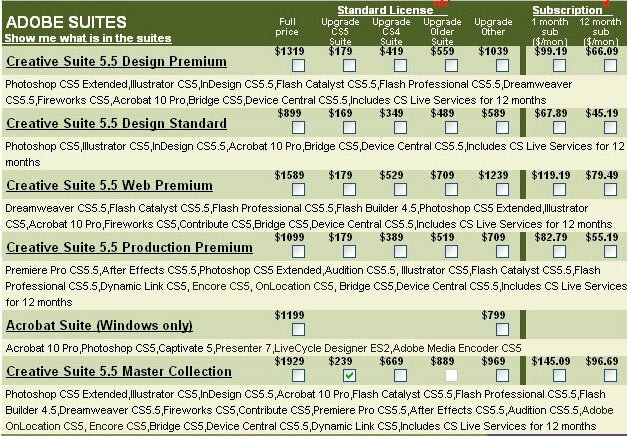 Home »General Life»Adobe Wants You to Pay for Another CS5 Update! NOTE: Adobe officially announce CS5.5 Update on April 11, 2011. Read the press release. 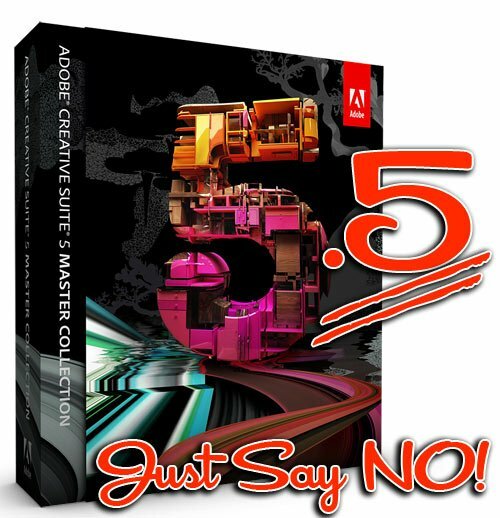 Please see my new article Editorial – Just Say No to Adobe CS5.5 for additional information. Blood from a Stone, Adobe?? 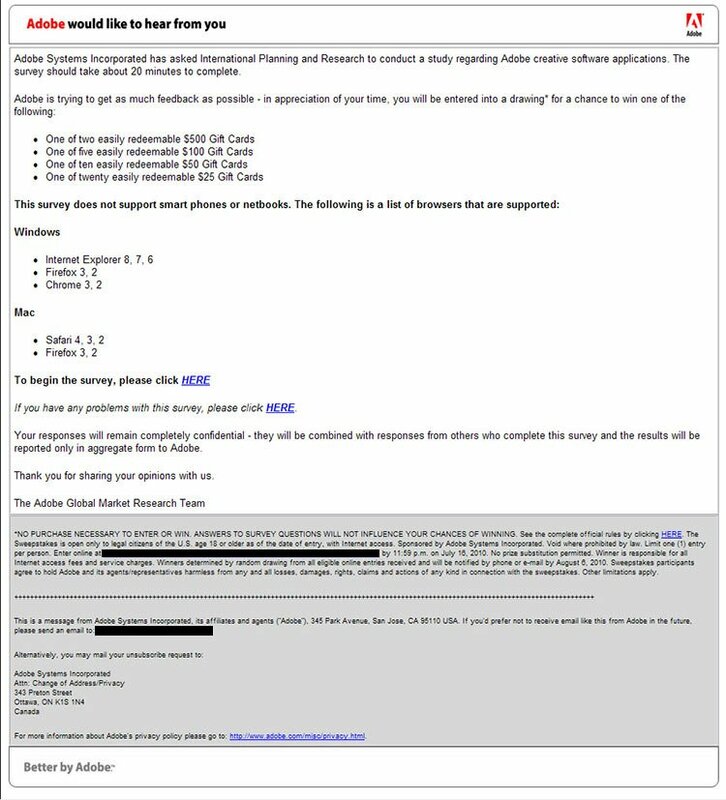 I just completed a survey regarding a possible CS5.5 update from Adobe. And yes, they are apparently planning on charging you for the update! The survey featured two different options – either a flat fee for the update or a monthly subscription for continued updates throughout the year. Either way, it will cost you. Now, you might be thinking that you need HTML5 support or one of the other new features listed below. Well, don’t expect a discount from Adobe when you upgrade to CS6! Adobe has a history of mid-release updates usually around the release of Acrobat Pro. Adobe never offers an additional discount for customers that purchase these mid-suite upgrades. 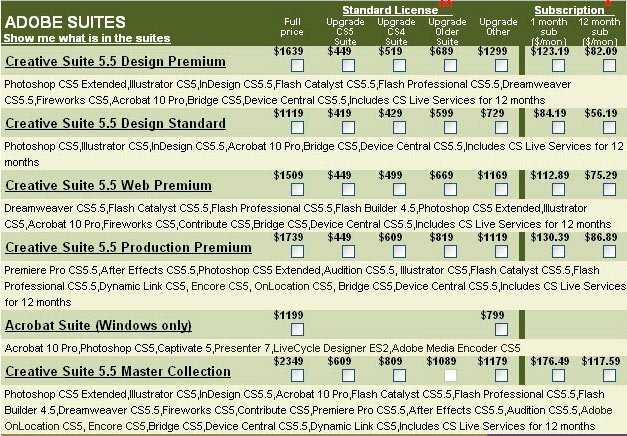 Expect to pay FULL price for the CS6 Upgrade when it is offered! So how much would this CS5.5 update cost? That depends on which Suite or individual product you plan to upgrade. The upgrade includes a 12-month subscription to CS Live, whether you want it or not. Adobe obviously realizes that pricing such a mid-level upgrade will be an issue. The survey tests 16 different pricing options covering your choice of a flat-fee upgrade or a monthly subscription. Take a look at two of the pricing matrices below showing the most expensive test price and the least expensive test price. Is it really worth either cost? Email invitation to survey. Deadline is July 16, 2010 to participate. If you received this email, PLEASE respond and protest the proposed update fee! Persistent Disk Caching: saving previews to disk on a per layer and per comp basis to minimize re-rendering previews. Enhanced Stereoscopic 3D workflows: use stereo camera rigs inside of After Effects and render from multiple cameras sources without duplicating the comp. Source timecode support: share frame-accurate timecode information with other post-production tools. Easy Closed Captioning support for tape, disc and web playback that meets Section 508 standards. Enhanced Mobile Web emulation with HTML, and mobile Flash content using built-in WebKit support. Just say no? Is that a joke? A lot of industries are rapidly changing and the 1.5-2 years between creative suite releases can be a long time. HTML5, stereoscopic workflows and other changes in the way creative work is being done needs to be addressed now, not in a few years. That is a pretty impressive list. I see things that could literally save me hours a week and as a professional my time is money. No one is forcing you to upgrade, if there is nothing of interest in this release for you then skip it. But why suggest others skip it? I personally have met some of the people that work really hard on these products and that suggestion is just insulting to their efforts. HTML5 is something that should have been included in the original release of CS5. Adobe is double-dipping to get additional profits for features that should have been completed months ago. Customers have already purchased the CS5 upgrade. It is unfair to force them to purchase another upgrade just a few months later. THAT is the point! No, the point is no one is forcing you to upgrade. CS5 was a great release and it is unfair to say other features should have been included when the simple fact of the matter is there is only a finite amount of time on a release. If you think these features should have been in months ago, which would you have been willing to cut? I would bet others would disagree with your selection and that is the core problem with limited resources. It is either make that trade, or pay more. If you think this new release has enough to offer then upgrade, otherwise don’t and nothing will change. Just added screen captures of the test pricing matrices to the blog article. All Suite upgrades include a 12-month license to CS Live whether you want it or not! Still think it is such a good deal? Keep in mind — this is starting a new update schedule for Adobe. Like the idea of paying for an upgrade every 6-months or a monthly subscription throughout the year?? Once Adobe adopts it, there is no turning back! Fireworks remained at CS5 according to the survey. Sorry, there were no additional features listed. This kind of behavior coming from Adobe doesn’t surprise me at all. Theirs is a corporate culture that demonstrates passion–but not for serving the needs of the global creative community first, but rather for extracting the highest possible tax from it. Adobe’s ever-more-burdensome struggles with image are testament to this fact. I loved Freehand!! Still prefer it to Illustrator. I never the Adobe-Macromedia merger would be bad for it. Glad to hear about your efforts to keep it alive! No surprise. Adobe is one of those greedy companies only interested in get richer no matter how. They dont give a sh$%& about you or the years of loyal upgrading. They are only interested in your wallet. I haven`t met yet anybody in the industry who have a positive opinion of adobe (as a company) , including developers or market analysts. When I read about 5.5, I cringed. What I really need in my life is another monthly subscription. I now pay monthly for cable, cell phone, and Tivo, all stuff that didn’t figure into my budget 15 years ago. I’m really disappointed about Adobe’s new direction. CS5 may be last edition of Photoshop for me. Adobe’s announcement to institute a half update every 24-months is very disappointing. Adobe is basically doubling your update costs by creating a lot of unnecessary filler. Hopefully, this CS5.5 update will flop and show Adobe the folly of their ways. It is important that their customers let them know! Join the protest on Facebook. Not surprised by any of this. Limited HTML5 and CSS3 support has been a plugin since CS4 – now we’re going to pay for it because JQuery might have been added? Who tests pages in an emulator (live view) and believes the results? Will Flash actually output clean code for canvas element? This is a meh for me. Unfortunately, we’ll update (I teach at a community college) because we must teach curent tools. notepad++ FTW. who needs live view when browsers are free? Unfortunately Adobe is forcing us to upgrade. I might not require any of the features included in 5.5 but if I need to work on a FLA file created in 5.5 by someone who did upgrade I’m forced to buy the update myself. Even though I don’t need it. You might argue that anyone using 5.5 can simply save for a lower version of flash but sometimes this doesn’t happen and sometimes you can’t reach the person who initially created the file. This is an issue with any new version of CS but in case of a payed update it can raise some debate.